I asked myself: If this will ever be art, how will the recipients call it? Currently the broad mass proclaims, it is iPhoneography, mobile art, or, depending on the device that is used, it is called androidography, androidism, iPhoneism? Art loves „isms“. How about appspressionism? The following work might be a benchmark for appspressionistic art. It was explicitly the usage of mobile technology and it’s apps, that made it possible to realize the sheet of streetphotos. The panel shows the latest 670 km on my four months trip around the North Sea. Made with Hipstamatic App on an iPhone 4s. The photos in collumn 1, 3, 5 … were made with Kodot film and Helga Viking lens. They show the view back to Boulogne sur Mer. 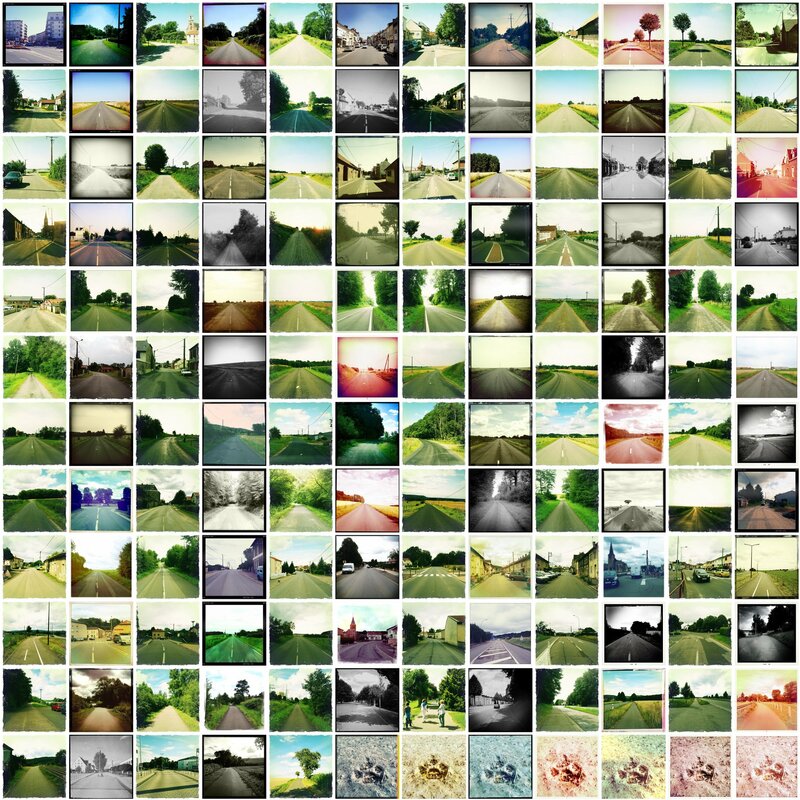 The photos in the collums 2, 4, 6 … were made with random combinations of lens and film. They point into direction future, forward to my hometown Zweibrücken. After 18 years of constructing artlines like this, I found an ultimate measure to continue my conceptual work.